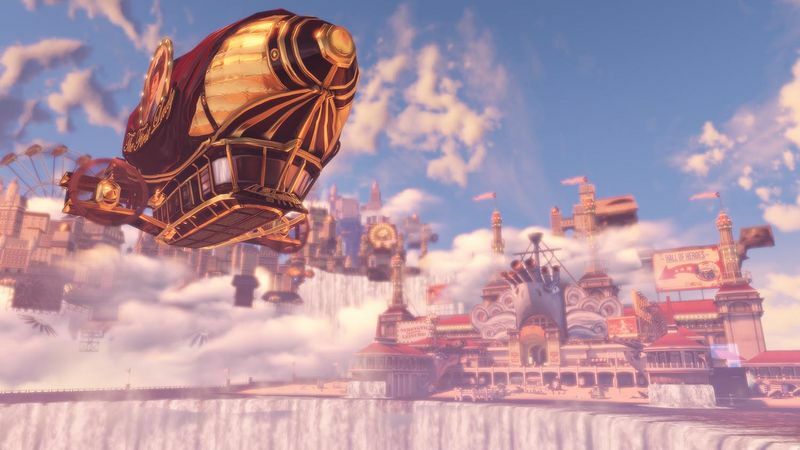 Between high-profile exits at developer Irrational, and a no-show at last year's E3, the development of BioShock Infinite appeared troubled. But, as James Cullinane discovers, we needn't have worried. It is clear Ken Levine doesn’t much care for narrative exposition. The rules of the universes he creates in his BioShock games are never read out for us to digest and frame our experiences within. There’s no prologue to BioShock Infinite, no opening cinematic, no voice-over, no helpful guides. As the game opens there is only a lighthouse, a photo, and a message: “Bring us the girl, and wipe away the debt.” It’s a remarkable and rare display of faith in the player by a developer. That girl, Elizabeth, is in Columbia. It is an impossible airborne city, a “new Eden to deliver us from the Sodom below,” as its founder and self-styled prophet, Father Zachary Comstock describes it. But that hardly does it justice. The exhilarating sense of revelation as Booker first walks out into the cobbled streets in the perpetual sunshine above the clouds cannot be understated. It’s 1912, and passersby wonder aloud whether a statue of Comstock truly captures their deliverer’s magnificence, his omnipotence. Zealots mutter prayers to America’s newly-deified Founding Fathers. A barbershop quartet sings a Beach Boys song. Nothing is quite what it seems. Columbia is the misguided doctrines of yesteryear writ large: manifest destiny and racial segregation, unchecked capitalism and an indentured labour force. Small wonder a red revolution simmers in the worker slums below. Elizabeth is Comstock’s daughter, the Lamb of Columbia, imprisoned in an angelic statue towering above the floating city. She is the true centrepiece of Infinite. Before she is Booker’s companion, she is his quarry, and the subject of many of the propaganda materials that adorn the walls of Columbia. Elizabeth has the ability to create ‘tears’ in the fabric of time, and she has been the unknowing subject of scientific experiment throughout her imprisonment. Once she is freed, she proves to be an extraordinary piece of design. The book-learned Elizabeth shares our sense of wonder and subsequently deepens it. She will run ahead of Booker to peer under tables, examine stalls, and remark on events. When she’s not there, her companionship is dearly missed. It’s hard to think of higher praise for game characterisation, and particularly for a female character drawn directly from the damsel archetype. 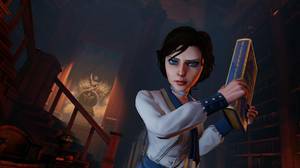 As the game breaks into its stride, Booker and Elizabeth move into a rhythm of tightly controlled exploration and combat. Irrational has sought to focus the combat more by limiting Booker to a two weapon load-out, supplemented by two vigors – magical abilities such as possession and fireballs. There’s only a little variety in the types of enemies Booker faces. Columbia’s hulking Handymen are a poor substitute for the ominous Big Daddies, but the Boys of Silence make up the difference. The Motorized Patriots, kinds of terminators based on the Founding Fathers, also feel contextually appropriate. Skylines make for the final combat variable. These magnetised tracks allow Booker and Elizabeth to peel around combat zones at high speed, but they can never fully shake the sense that they’re a gimmick. The combat is frenetic, but capturing that special, visceral sense of joy and feedback that can come with firing weapons in a game is something that still eludes the team at Irrational. Elizabeth will also help throughout by scavenging for health, salts, and ammunition, and by opening ‘tears’, such as automated gun turrets and additional cover. Her ability to manipulate time is, of course, one of the game’s key storytelling devices, but every time answers appear to be within sight, or every time we think we’ve finally figured out what’s going on, the game changes gear and leaves us with more questions. Infinite doesn’t break the fourth wall and question the player’s actions within the game the same way the original BioShock did, but it tells a much better scripted story, and its unpredictable final revelation is every bit the water-cooler moment the series has become known for. It practically begs an immediate replay in order to indulge dramatic irony, and test the game universe’s rules against itself. 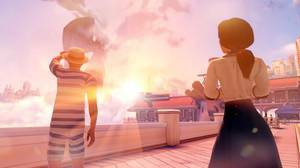 Infinite puts it beyond a shadow of doubt: BioShock is the most important new intellectual property of this hardware generation. Like its predecessor, it is an experience that could only ever be achieved in a videogame, one that demonstrates the true power of this medium to engage and inspire us, and in doing so it soars far above so many other games, clipped and blinkered as they are by their lowly, merely filmic aspirations. 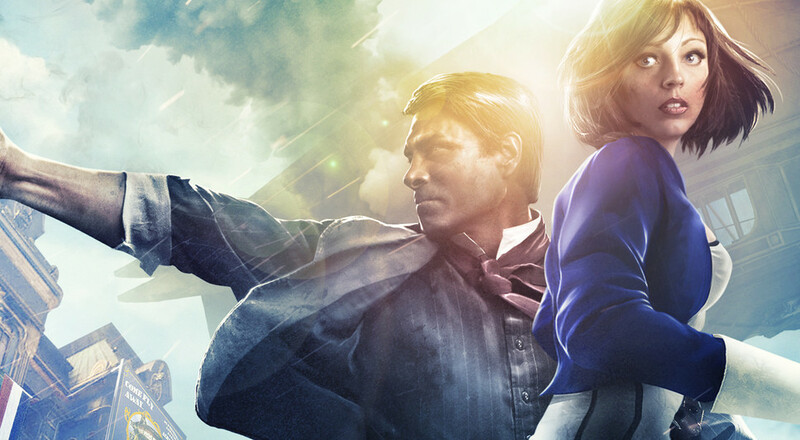 BioShock Infinite is one of the finest games to be released this generation. Ups Columbia is a rich setting to take in. Superb characterisation of Elizabeth. A water-cooler worthy story only games could tell. Downs Combat could be a little stronger. Plus: Find out if you won an Xbox One! 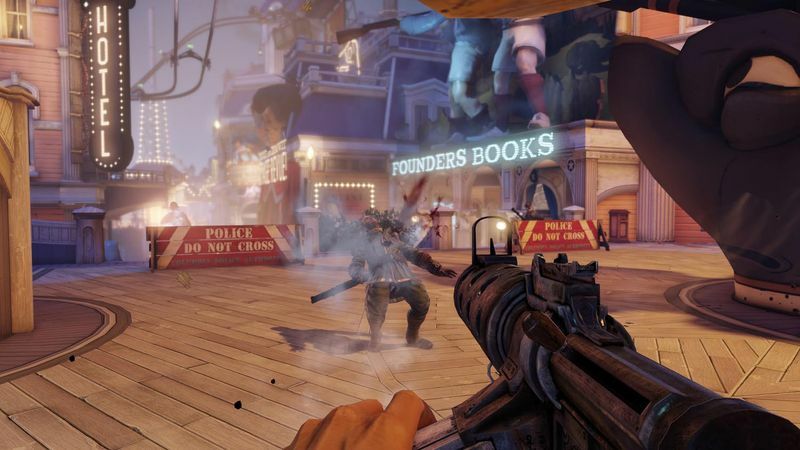 ▰ 47 BioShock developer Irrational Games relinquishes IP, is "winding down"